Cut one body piece on fold of ballistic nylon. Cut one each of remaining pieces. Cut one pocket flap and one strap lining from denim. Cut a piece of nylon webbing 5" long. Lightly burn ends to prevent fraying. Feed through female end of buckle. Pull top 1/4" longer than bottom, then fold under 1/4" to cover bottom edge. 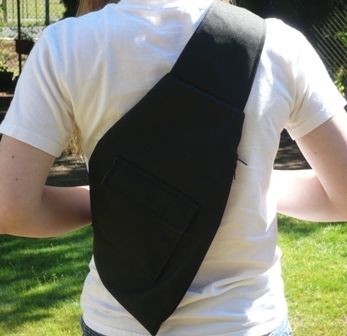 Stitch securely onto nylon strap piece with bottom edge of buckle even with raw edge of strap. Fold buckle up out of seam allowance. Pin if necessary. Pin strap and strap lining pieces right sides together. Stitch together, leaving short straight edge open. Turn. Press. Topstitch around edge. Stitch across raw edge. Stitch one side of Velcro to the right side of pocket flap facing, 1" from sides and 1" from bottom edge. Pin flap and flap lining right sides together. Stitch sides and bottom edge. Trim seams and clip corners. Turn and press. Topstitch. Zigzag raw edge. Fold top edge of pocket under 1/2", then fold toward right side 1". Stitch each side 1/2" away from edge. Clip corners and turn. Stitch near fold on inside. 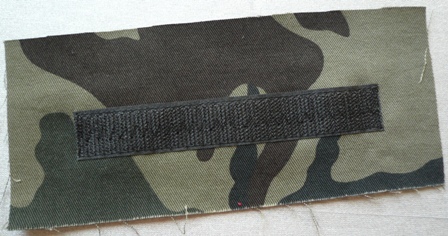 Sew Velcro to front of pocket, about 1/4" from top edge. Fold remaining raw edges under 1/2" and press. 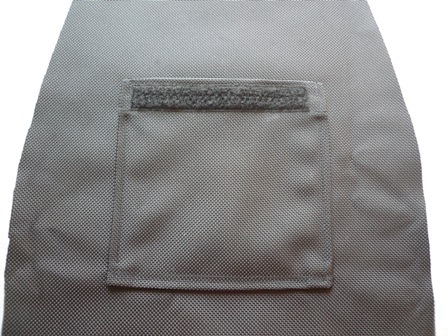 Position pocket with bottom edge 3" from fold at the bottom of the body piece. Pin and stitch sides and bottom. 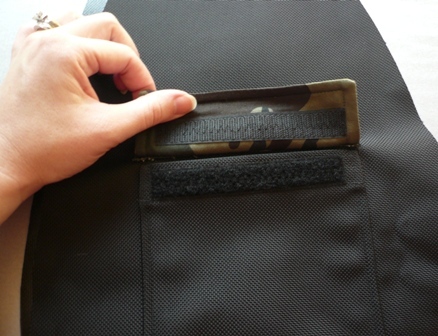 Attach flap to pocket by sticking Velcro together. Turn the upper edge of the flap under 1/4" and stitch close to fold. Stitch again 1/4" from fold. Fold body right sides together. Mark 1" from bottom edge and 2 1/2" from top on side you want the zipper. Stitch that side 1/2" away from edge, switching to a basting stitch between the marks. Press the seam open. Center the zipper over the seam on wrong side, with ends of zipper at marks. Stitch around zipper on the right side. Maybe a little straighter and less wonky than the photo below. Remove basting stitches from the seam over the zipper. 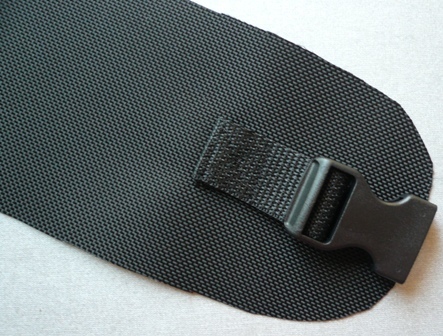 Position strap with the lining facing the back of the bag, raw edges even and left edge next to the side seam. Lay the front side of the bag over the top. Pin in place. Cut a piece of the nylon webbing 16". Lay that in the lower corner of the bag to the inside, so the end will be stitched into the seam. Stitch top and side. Finish edges with a zigzag stitch. Turn bag right side out through zipper. Add male end of buckle and trim webbing as needed. This bag turned out to be perfect for my needs...this time.